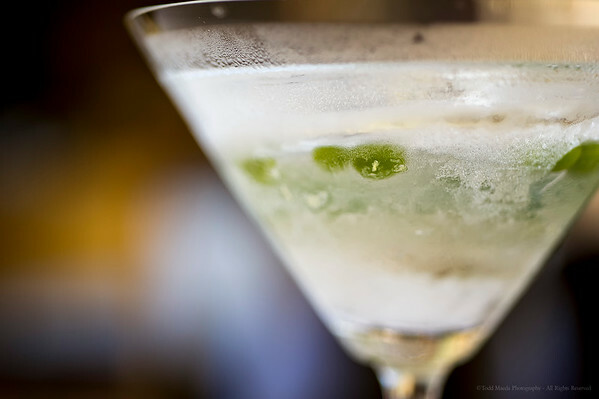 In this installment, we turn our sights on one of my favorite drinks: Awamori! Photos by Todd Maeda Photography. 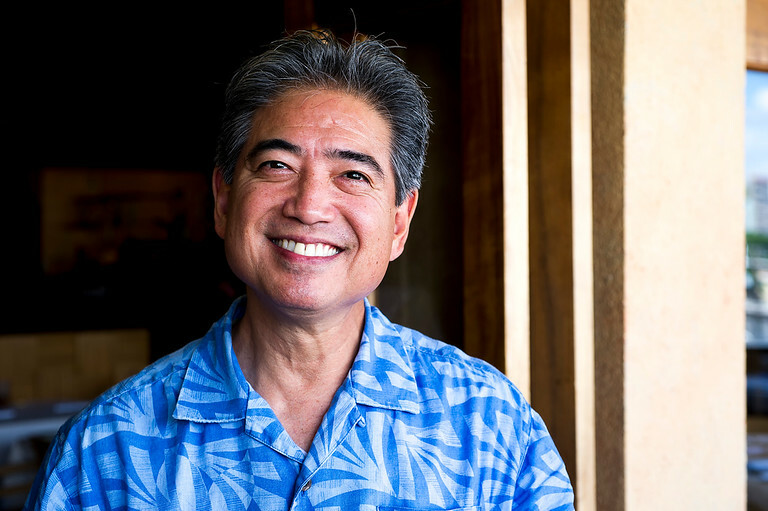 View Alan Wong’s Awamori Photo Gallery. What is Awamori? 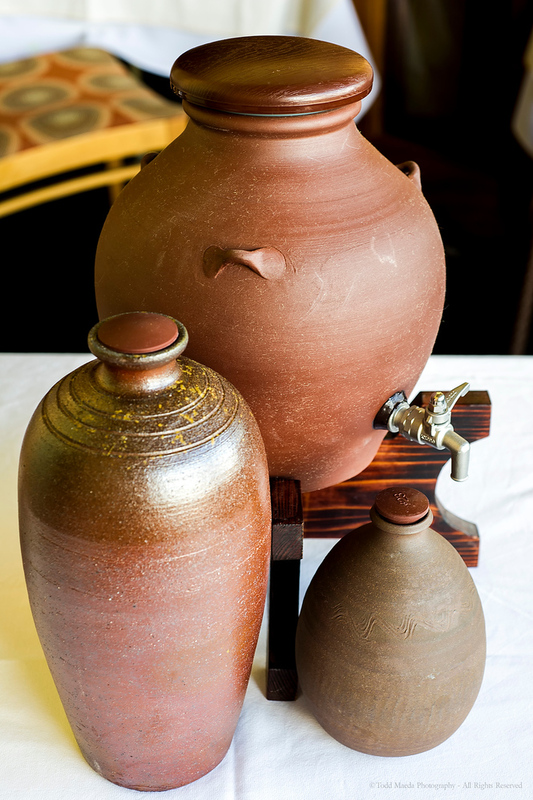 Awamori is a liquor unique to Okinawa. It is distilled from long grain Indicia rice from Thailand (contrast this to the short grain Japonica rice used for sake) and a mold indigenous to Okinawa called black koji. This distilling process has been around for over 700 years, resulting in a drink with a very distinctive taste and aroma. Psst! For those with celiac, awamori is gluten-free. Why Drink Awamori? According to Mark Shishido of Alan Wong’s Restaurants, “Awamori is something that comes from one place in the world, Okinawa. It is part of the culture and our heritage. That gives it credibility and stature, making awamori comparable to cognac, cachaça and champagne.” In the West, however, most people do not know of or understand awamori. Despite numerous obstacles encountered, Randy has been adjusting and learning over the years. The result is Kuba Awamori, a special line that also utilizes cane sugar alcohol, creating a taste more palatable for Americans. He listened to advice from sommeliers and industry experts and created Kuba, which was awarded a silver medal in the 2014 Los Angeles International Spirits Competition! Randy imports awamori from the small, family owned distillers he admires so much for his Kuba Awamori. Aging Awamori. “Young” awamori can be treated like vodka, used for cocktails. “Aged” awamori is more like whiskey. Okinawans use a specially created earthenware pot or “kame” to age awamori, which mellows the flavor and creates something truly special. According to Randy, this is an aspect of the Okinawan culture we should explore more in Hawaii. Ideal is to have multiple small kame (5-6) at your house, which lets you rotate the awamori. Look up “solera aging” for instructions on how to age good quality awamori using kame or consult with Randy. 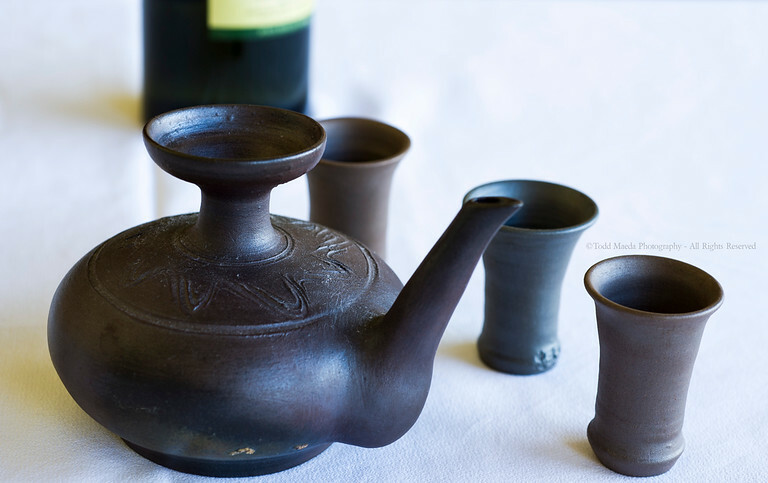 Awamori aged in a kame is perfect for special celebrations and occasions. Lotus Spirits special orders kame from artists in Okinawa who craft their pots by hand (vs. mass produced kame from molds). Go to lotusspirits.com to see their selection of kame. Alan Wong’s Restaurants. After a conversation with Randy Kuba about awamori, Chef Alan Wong wanted to feature awamori in his restaurants. According to Wine Director Mark Shishido, their cuisine is built on Hawaii’s plantation heritage and the inclusion of awamori is a tribute to the Okinawan immigrants who worked on plantations. After tasting awamori from many distilleries, they selected one from the Chuko distillery which has a different take on classic awamori. Their private label choice has a flavor more fruit driven, reminiscent of whiskey and more appealing to the Western market. Mark trains all their staff about awamori, telling them about Randy Kuba, as well as Alan Wong’s private label. They in turn are able to educate their diners about Okinawa’s special drink. Most awamori is 44 proof, which is a lot of alcohol. Compare that to shochu, which is 23-30 proof on the high end. Mark recommends mixing awamori with water to lower the overall alcohol. The most classic food pairing is with rafute but is good with strong flavored foods. 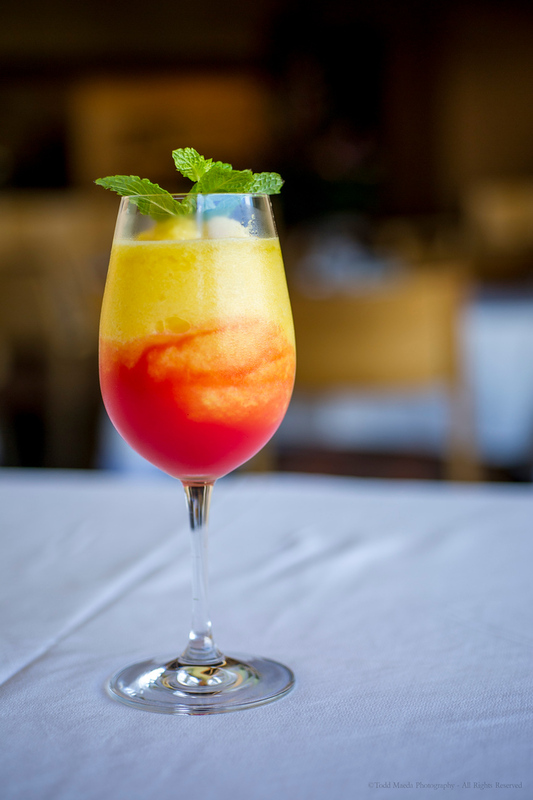 You don’t want to serve it with spicy foods because alcohol accentuates the heat. Alan Wong’s serves their awamori on the rocks with a splash of water but the easiest and friendliest way to introduce awamori is through cocktails. So Mark created “Awamori Sunrise,” a take on POG and a spin on Tequila Sunrise, a refreshing fruit blended cocktail with fresh oranges, passion fruit lime, guava and awamori. This is on the menu at all three restaurants. Not offered on the regular menu are other drinks that Mark created with their private label awamori. The one I was the most fascinated with was an intermezzo drink served between courses as a palate cleanser. 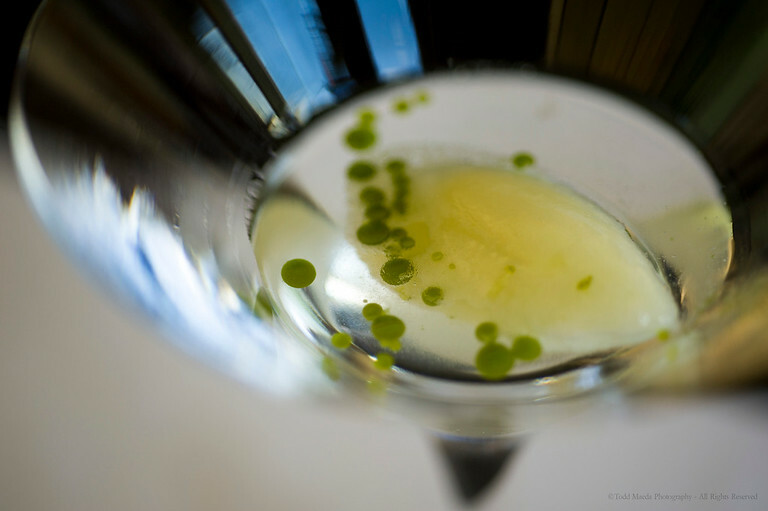 An awamori martini with basil oil, with a layer of ice on the top, and a quenelle of lime sorbet on the ice! Anyone who wants to try Alan Wong’s special brand of awamori and Mark Shishido’s incredible concoctions can contact the King Street restaurant in advance and ask Mark for an exploration of awamori cocktails! I highly recommend Mark’s take on awamori. The intermezzo is brilliant and worth a visit! Awamori is a part of our culture and our heritage, so let’s give it the credibility and stature it deserves! How do we get there? Consider getting your own kame and start aging awamori for special occasions. Support local businesses carrying awamori. 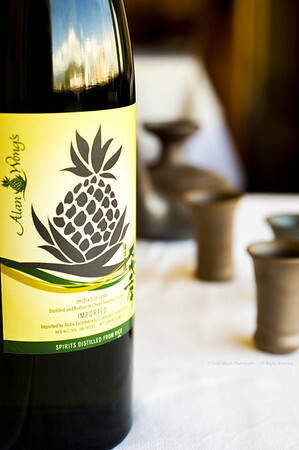 Head over to Alan Wong’s or The Pineapple Room to try their private label awamori and cocktails. Consider bringing awamori like Kuba to your Shinnenkai or as a gift.